The following letter was written by a then-hierodeacon of Holy Transfiguration Monastery (now living at Holy Ascension Monastery) and is posted with his permission. Please accept my apologies for this jumble of thoughts I am here trying as simply as possible to make several points that seem to me to lie at the heart of the issue. Metropolitan Anthony Khrapovitsky’s "On the New False Teaching..."
A paper entitled “On the New Martyr Michael Novosolov, ‘Confessor of the Name of God’"
Archimandrite Justin Popovitch on Metropolitan Anthony Khrapovitsky. Exposition of the Orthodox Faith – St. John of Damascus, Nicene and Post-Nicene Fathers, Vol. 9. Please understand, as should be self evident, that I have read some of these materials in the past and now recently have found various passages, which seem to me to be applicable to this present topic. I cannot now write a dissertation that would include quotes and references, since my only aim here now is to outline some conclusions I have reached, which I reached through these sources. I decided to write this brief outline of conclusions on the basis of a conversation I had with Fr. N., after a Monday morning Liturgy at the Convent a couple of weeks ago. He began the conversation which circled around to some comments he made concerning how it is that the Name of God is God. Once he had said this I interjected a comment something to the effect, “You know, Fr. N., we have to be very careful of a fine line here”. He asked, “What fine line?” I said, “Well, for example, concerning icons; very great Grace comes through the holy icons, but they are not God”. He replied, “Yes, well…. About deification”. What followed was a dissertation at some length on deification, on how the Energies of God are God, which after a while degenerated into judgments against Metropolitan Anthony Krapovitsky, St. Joseph Volokolomsk, and others closer to us. [He said ] they were only for the external styles of Worship and prayer and did not either understand nor did they want prayer ropes and prayer of the heart, and this is the reason they were against the Name Worshippers. Here he quoted some things from Bulatovich’s book against Metropolitan Anthony and other comments. I was not able to complete my thought with him, i.e. moving along from icons to the Name of Jesus. I was going to say, “And so also the Name of God, which is an icon in word instead of picture, conveying sanctifying and deifying Grace, to those who are open to it – yet as a created object it, in and of itself, is not and can not become uncreated God”. What, then, is this fine line? It seems to me it is the line St. Cyril of Alexandria drew for the Fourth Council, in a sense dividing between that which cannot be divided, dividing between that which is inseparably bound together, even as St. Basil says in his dissertation on the Holy Spirit, that just as The Father, the Son and the Holy Spirit are bound together so inextricably that there is no space between them, yet their Persons are not “con-fused”, meaning their Persons are distinct, each one, not blended together, but inextricably bound together. Can one dare to add a thought, perhaps from 1 John 4, God is love, and love is that which binds together, making inseparable those who offer and receive it. But, of course we are way over our heads here since as St. Dionysios and St. Maximus the Confessor say in no uncertain terms, any thought we might have about God, any name we might use for God is totally inadequate since God is totally beyond all thought and description, and can only be experienced as He gives Himself to us in His love for us. This fine line, then is that which runs between Christ’s two Natures, as St. Cyril has shown us. Eutyches, Dioscoros, and the Monophysites erred to the right. They crossed the conservative line, they did what St. Basil showed must not be done because it is not true – since the Persons of the Holy Trinity are not intermingled (meaning not con-fused), neither can the two natures of Christ be intermingled, loosing their precious separate identities. I think it was St. Athanasius who said in his On the Incarnation, “That which Christ did not take on, He did not save”, meaning His Manhood totally created and physical, in “…all things like us sin excepted”, said St. Paul. The Nature of Christ’s Godhead is not human in and of itself, neither is the Nature of Christ’s Manhood God in and of itself. Yet the two, intrinsically bound together, unconfused, are the God-Man Jesus Christ our Saviour. What then of His Name that is above every name in heaven, on earth and under the earth? In conjunction with His Name, St. Paul said, “Let this mind be in you which was in Christ Jesus: Who being in the form of God thought it not robbery to be equal with God, but made himself of no reputation, and took upon him the form of a servant, and was made in the likeness of men, and being found in fashion as a man he humbled himself (i.e. emptied himself), and became obedient unto death, even the death of the cross”. He became wholly and totally Man as well as His Name, which bears the eternal and uncreated Grace of His Godhead, but bears it without becoming it. His Name is physical, created, not uncreated God. To say so is to con-fuse the two Natures. This is monophysitism. I have heard it said, His Name is God because God has given it therefore it is uncreated. What? The Holy Spirit conceived in the Virgin’s womb Him Who is the Son of God but now taking on His created Human Nature – the two are inseparably bound together yet one is uncreated and the other is created. That which is created is not uncreated, yet creation has all come from God just as The Human Nature of Christ has come from God but that does not make it uncreated, and neither does it make His Name uncreated, just because it came from God. Here, I would like to interject what might seem at first to be a digression, yet I do not mean it to be. In a saying by St. John of Kronstadt concerning names, he says “The Name of the Lord is the Lord Himself … the name of the Mother of God is the Mother of God, the angel is the angel, the name of a saint is the saint”. He explains, “…let the closeness of your word to your heart be a pledge and a testimony of the closeness to your heart of the Lord Himself, the Mother of God, the angel or the saint”. This explanation seems to me to be completely in line with the line identified by St. Cyril between the uncreated Godhead of the Son and His created Nature as Man, i.e. His human Nature is deified by it’s unity with his Godhead, but it is not con-fused with it, it is still a created human Nature, created by God, by the will of the Father, the operation of the Holy Spirit, and the acceptance of the Son So, our names, whether of our Saviour, the Theotokos, an angel a saint or ourselves are intrinsically bound to us, manifesting our natures, yet in and of themselves, they are a word of designation and not totally we ourselves, we are infinitely beyond them for also they are but a word of designation. So both things are true each in its own context, our name is us because it is intrinsically bound to us and all that we are, yet at the same time our name remains a word and does not become totally us in essence, but also remains a designation, an icon, of us and all that we are. This I believe is St. John’s meaning here. What more of the fine line? St. Cyril was and is right maintaining un-confusion of the two natures, for, horribly enough as a thought, if Christ as Man is not just deified by His relationship to His divinity, but the Human Nature is somehow subsumed into the Divine nature, then even His sewage becomes God, uncreated God, and how more blasphemous and ridiculous can one get than this stupid thought. To say, then, that His Name is uncreated God is to cross this line of con-fusion, with disastrous results theologically, and in dis-harmony with the thinking of all the greatest Fathers of old. So far we have not dealt with the question of God’s uncreated energies. Geronta has said that “the energies of God, despite their being uncreated, are God in the sense that they bear God to us but are NOT His Essence, which can not be known by any of creation, but only by God. When I asked him what the energies of God are, he said that God’s Energies are his Grace. But as we have seen above, His Grace, i.e. His Energies are one thing, and the means He uses to convey His grace can take the form of created things, such as the bread and wine that become the Body and Blood of our Saviour. By association and deification by the Holy Spirit, and the will of the Father, the bread and wine become truly the Body and Blood of Christ – the God – Man, absolutely, even as we experience it, but the physical nature of the bread and wine also remain their true created and physical nature, despite the fact that they are bound together un-confusedly with the two natures of Christ, having become His most Pure Body and Most Precious Blood. Thus the fine line remains, thanks to St. Cyril and the Fourth Council, which is that the bread and wine become God by deification and association, but not by nature. The same is true of the Name of God. Do the Name Worshippers really mean that the created physical name of God given us by God becomes uncreated God by nature? If so, they have crossed St. Cyril’s fine line of discernment, having forgotten that it is a physical icon in a word, yet at the same time designating and intrinsically bound to our uncreated God, bearing to us the eternal weight of His Divine and uncreated Energies, the Grace of His unfathomable and inestimable Divine Love for us and His whole creation. Please forgive me, the sinner. This is the best I can do at the moment. Perhaps when I see you I will have a few more thoughts. With all my love in Christ our Saviour. P.S. Polytheism: Once things can “become” an Energy of God, then things are part of God. Monophysitism yields to this. Here is an illustration of how the record concerning name-worshipping (also known as imyaslavie or imiaslavie), was distorted by political opponents of the Orthodox Church in Russia. First, we give the account of Archbishop Nikon (Rozhdestvensky). He was sent to Mt. Athos by Tsar Nicholas II in 1913 to quell the rebellion of the name-worshippers (imyaslavtsy), the monks in the Russian monasteries on the Holy Mountain who had fallen prey to the heresy of name-worshipping. Then we give an account of the same event from the radical press. Denouncing the false teaching, I appealed to their common sense, pointing out that their teacher Bulatovich considers any word of God to be God, but indeed in the word of God, in the Holy Scriptures, many words are words of men; for example, the words of the fool, "There is no God." Holy Scripture mentions the creatures of God, for instance, worms: what then? Is this all God? Likewise, all the names of God as words only designate God, refer to him, but by themselves still are not God: the name "Jesus" is not God, the name "Christ" is not God. At these words … were heard shouts: "Heretic! He teaches that Christ isn't God! There is no God!” I continued my speech, but as the leaders of the rebellion continued to make a lot of noise, then S.V. Troitksy turned to those who were standing near and said, “Vladyka says only that the name Christ is not God, but Christ Himself is our true God. … They shouted at me, “Heretic! Crocodile from the sea! Seven-headed snake! Wolf in sheep's cloth­ing!" In conclusion I managed to say: “Be honest! Hear me out: you can read all the places that we have quoted from the Holy Fathers in your library: come, we will show them to you there!< Whoever knows Greek, we’ll find them in the Greek original." After this, I left the church through the altar. From the report of Archbishop Nikon (Rozhdestvensky) to the Holy Synod, summer 1913. Archbishop Nikon graduated from seminary first in his class, but preferring a monastic life to an ecclesiastical career, he declined further study. He became a monk first at New Jerusalem Monastery, then at St. Sergius Lavra. His spiritual father in both places was the abbot,Archimandrite Leonid Kavelin, beloved disciple of the Optina Elder Macarius. As a young monk, with the blessing of St. Innocent, Metropolitan of Moscow, he began publishing a series of leaflets on the Orthodox faith. Over a period of 25 years, more than 100 million of them were distributed. Fr. Nikon came to public attention in 1885, when his book, The Life and Struggles of St. Sergius, Abbot of Radonezh, was published. He was raised to the rank of archimandrite. In March of 1904, he was consecrated to the episcopate and soon afterward was appointed rector of the Danilov Monastery in Moscow. During the workers’ strikes in Moscow in 1905, he delivered a sermon against the strikes. It was read aloud in the all the churches of the capital, and on the next day the workers began to return to work. In 1913, Tsar Nicholas himself asked Archbishop Nikon to go to Mt. Athos to stop the rebellion of the imyaslavtsy. “You,” said the archbishop, shaking his staff, “consider every name to be God. So I tell you that any name of God is not God. The name of a worm is only ‘worm’, and you, for heaven’s sake, say, ‘even a worm is God.’ The Son is less than the Father Jesus Himself said that ‘the Father is greater than I. You say that Christ is God.” Professor Troitsky interrupted Nikon: “Vladyka, Christ is God! And in the dismissal it is said, ‘Christ our true God.’” But Vladyka Nikon, pounding on the floor with his staff, shouted, “Don’t anyone dare to contradict me! England and France believe as I am saying.” The outraged monks are not given a chance to contradict him. To the comment that if the name God is not God, then the words of the Psalter, “Praise the name of the Lord, praise (Him) all ye servants of the Lord” should be pronounced “Praise the Lord God,” Vladyka in the heat of the moment answered, “Yes, that’s how it should be!” – “Then all the books need to be rewritten,” a monk commented.. “And we will rewrite them with time! We will rewrite all the books!” Vladyka announced. Need it be said, that after these words the church was ovewhelmed with a storm of outrage, and the archbishop had to hide in the altar. Article from Russkoye Slovo (Russian Word), the newspaper of publishing mogul I.D. Sytin, who was an open critic of the imperial government and the Russian Orthodox Church and who printed radical anti-government propaganda and anti-Church propaganda, including his friend Lev Tolstoy’s attacks against the Church. Tsar Nicholas’s government regarded his printing shop as a “wasp’s nest.” After the Revolution, Sytin acted as an advisor to the Bolshevik government and in return received a hefty pension. Imyaslavie (or imiaslavie), also known as name-worshipping, is a heresy that claims the name of God is God Himself. It was formulated by a Russian elder and ascetic, Schema-monk Ilarion, in the early years of the twentieth century. Fr. Ilarion wrote a book on the Jesus prayer, In the Causcasus Mountains, which was published in 1907. He intended to praise the ancient practice of the Jesus prayer -- Lord Jesus Christ, Son of God, have mercy on me, a sinner -- but in describing it, he fell into error. Instead of teaching that God responds to the ascetic labor of the Jesus prayer with His grace, Fr. Ilarion taught that grace proceeded from the very name of Jesus which, according to him, was Jesus Himself. This error of Fr. 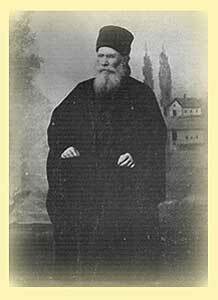 Ilarion's was further distorted by one of his disciples, Hiero-Schema-monk Anthony Bulatovich. Bulatovich wrote An Apology of Faith in the Name of God and the Name of Jesus, which was published in 1913. In his book, Bulatovich claimed that all the names of God -- not just the name Jesus -- are God Himself, and one need not pronounce them prayerfully or even with faith to be in the presence of God. These heretical teachings were condemned by the Patriarchate of Constantinople under Patriarch Joachim III in 1912 and again under Patriarch German V in 1913. After commissioning three independent reports on imyaslavie, the Holy Synod of Russia also condemned it as a heresy in 1913. Patriarch Gregory of Antioch also condemned imyaslavie as a heresy in 1913.